We have some cool shots from the set of Kis Kisko Pyaar Karoon, which stars Kapil Sharma. 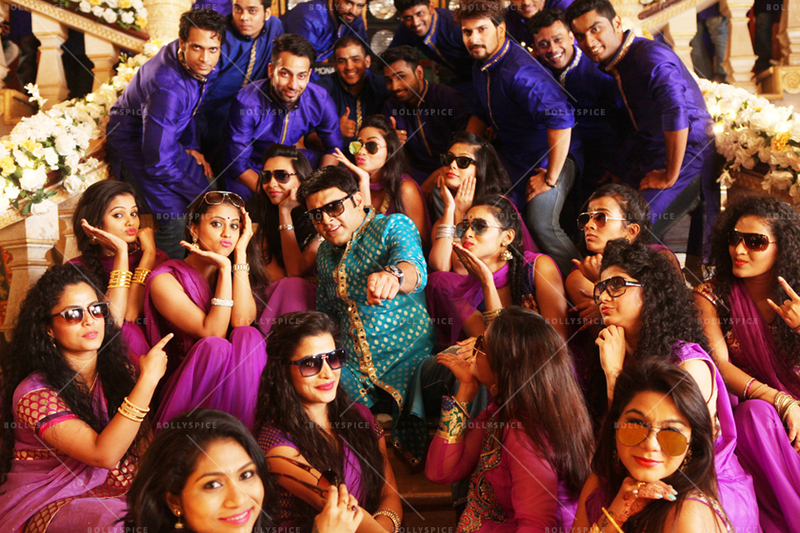 They are shooting for the song ‘Dj Bajega To Pappu Nachega’ and we have a special look! 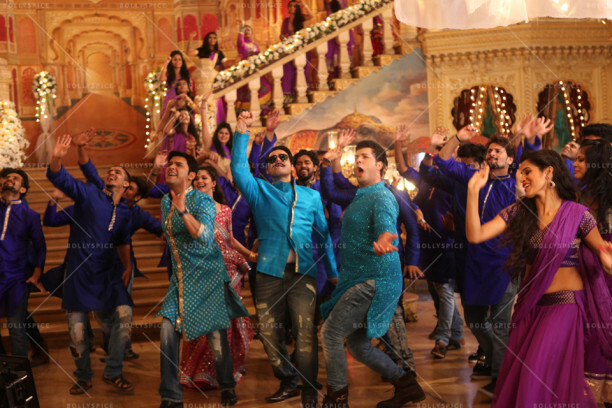 The promotional song, choreographed by Ahmed Khan, is being shot in the outskirts of Mumbai and a special set was erected for the wedding theme promotional song. 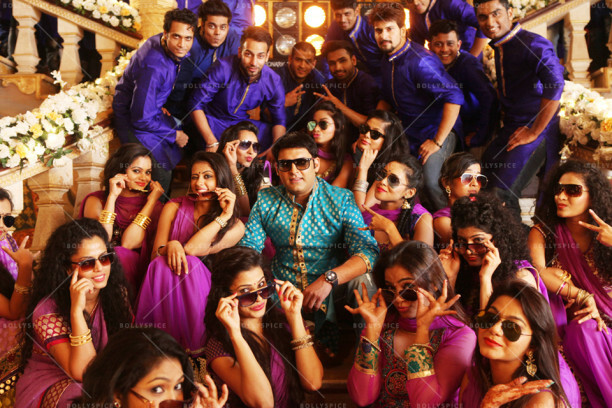 Featuring the entire cast, apparently it is about Kapil managing his 3 wives along with his girlfriend. Set to release on September 25th, the comedy directed by Abbas-Mustan will see the talented duo venture into comedy genre after a long time! Kis Kisko Pyaar Karoon also stars Manjari Fadnis, Sai Lokur, Elli Avram, Simran Mundi, Varun Sharma, Sharat Saxena, Supriya Pathak, Manoj Joshi, that also features a cameo by Jamie Lever (daughter of Johnny Lever), Charli & Arbaaz Khan. Check out the shots from the song shoot! 16 queries in 1.385 seconds.